COLUMBIA, Mo. 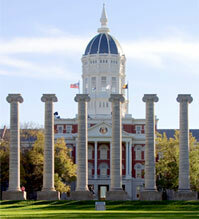 ­— Summer session opened this week at the University of Missouri, and enrollment is up 2.2 percent. Overall, summer enrollment is up to 13,697 students, an increase of 301 students from last year’s total of 13,396. This is an all-time high for summer enrollment. Additionally, undergraduate enrollment and students participating in online classes increased this summer. Undergraduate enrollment increased by 4.7 percent to 9,185, up 413 students from last year. Students participating in classes managed by Mizzou Online, which includes on-campus and distance-learning students, increased by 11.8 percent from 7,255 in Summer 2015 to 8,112 in summer 2016.